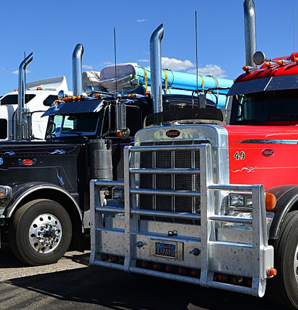 As a general rule there are two categories of users of the Services: "Drivers" who use the Services in connection with their professional driving activities, and "Fleet Operators" who are in the business of operating fleets of trucks (collectively, "you"). We may collect two types of Personal Information: (i) personally identifiable information ("PII"), which constitutes any information that can identify an individual directly or through other reasonably available means and is otherwise referred to herein as "Personal Information", but does not include information deemed not to be Personal Information in accordance with applicable law; and (ii) non-personally identifiable information ("Non-PII"), which is also referred to as aggregate and anonymous data, or is information that would not, in and of itself, identify you. Please note that what one may initially consider to be Non-PII may, in some contexts, such as in respect of small geographic locations or communities, result in such information being attributable to you or allowing you to be identified because of the context. Please consider this when providing information. When you sign up to the Services or otherwise make an inquiry to us about the Services, you will be asked to provide us with certain PII about yourself such as your first name, last name, email address, phone number, company name, address, and DOT number, and signature. You may also be required to provide your credit card information, should you decide to subscribe to the Services. Some Non-PII may automatically be collected when you use or visit the Services. We collect and store information related to your use of the Services, such as the pages you view on the website, and information pertaining to your computer device, network, protocols and software and the date and time of your visit. The Non-PII we automatically collect is used to help us provide a more relevant and useful site experience to you. This information is also used in the aggregate to perform statistical analyses of user behaviour and characteristics in order to measure interest in and use of the various areas of the Services. We will periodically record your location to facilitate various features within the Services. If you choose to use the business process automation functionality of the Services, we will collect any Personal Information that you disclose in the use of such functionality. If you choose to use the document and/or photo capture functionality of the Services, we will store the captured images and may share them with other users of the Services as part of this functionality. If you choose to use the messaging functionality of the Services, we will store the messages and metadata related to the messages, and may share this information with other users of the Services as part of this functionality. You may have a profile (a "Profile") on the Services and certain information in your profile may be available to other users of the Services. You have the ability to view your Profile, and can update and/or change your Profile through our website or our apps. Note that if you include PII in your Profile, it can be used and viewed by others. We are not responsible for the information you choose to include in your Profile. You should feel free to give us feedback, register a complaint, or ask questions about the Services. We may store your communications, including any Personal Information you include in them, so that we can effectively respond to you. Our primary objective in collecting your information is to provide services that are of the greatest interest and use to you. In addition to those uses mentioned above, we use the PII collected for the following purposes: (i) for registration and access to your account; (ii) to manage your account; (iii) to communicate with you; (iv) to measure interest in and improve our Services; (v) to provide you with information and offers from us or third parties that we believe you may find useful or interesting, including marketing or promotional materials, advertisements, coupons and other information on services and products offered by us or third parties; (vi) to resolve disputes, troubleshoot problems; and (vii) to monitor the Services and to enforce the TOS. In addition, the Personal Information allows us to develop and customize the Services and to better understand what products and services you would like. The Personal Information may also be used to send you e-mails that we believe may be of interest to you, such as our newsletters. You may opt out of receiving any such e-mails by unsubscribing; simply follow the unsubscribing instructions. In addition to the uses mentioned above, we use the Non-PII collection for the following purposes: (i) to monitor and analyze use of the Services and for the technical administration of the Services; (ii) to increase functionality and user-friendliness of the Services; (iii) to better tailor the Services to your needs; and (iv) to generate and derive useful data and information concerning the interests, characteristics and use behaviour of users, and to verify that users of the Services meet the criteria required to process their requests. 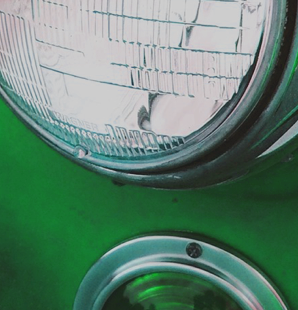 As a Driver, we may share your Personal Information with Fleet Operators in connection with the operation of their business, to the extent you are a part or are employed by such Fleet Operator. We may share much of our data, including your PII, with our parent, subsidiary and other affiliated companies (each a "Related Entity") that are committed to serving your online needs and providing related services. As mentioned above, if you provide Personal Information in your Profile, this information will be publicly available and therefore may be shared to other users of the Services. We may use third parties to provide technical support and perform tracking and reporting functions, conduct quality assurance testing, and provide other services in connection with the Services. We may share Personal Information about you with them so that they can perform the services they are required to perform. We may share information with other parties whom you ask us to send Personal Information, whether explicitly or by using the Services. We may share non-PII in the aggregate to third parties relating to user behaviour in connection with actual or prospective business relationship with those third parties, such as advertisers and content distributors. For example, we may disclose the number of users that have been exposed to, or clicked on, links. We understand how important protecting your privacy is, and we are committed to safeguarding the information you provide to us. And while we cannot guarantee absolute security, we have implemented specific security procedures to protect the storage and disclosure of your information. Access to your information is restricted to select employees or representatives. To update your Personal Information, or please login to our website or the apps available through the Apple App Store or Google Play, or contact us at support@bigroad.com and notify us of what information is to be updated. We keep the Personal Information you have given us for at least as long as you maintain your account with the Services. Keep in mind, however, that even if you delete your account, we may retain your Personal Information in conformance with our data retention policy, under which we may reasonably retain such information to comply with laws, prevent fraud, resolve disputes, troubleshoot problems, assist with any investigations, enforce our TOS, and take other actions otherwise permitted by law. The Services are hosted in the United States. Policy is governed by the laws of Ontario, Canada and applicable Canadian laws.